Then about a week ago I noticed a strange thing happening when I opened images in Photoshop Camera Raw. The image would look blurry, as though it had not rendered properly. And then it would just 'develop' and turn into lovely, sharp, detailed, rich, rounded, luxurious images. I spoke to the piper and in the course of our conversation he explained that the reed is a single reed just like in a clarinet. I mentioned that I had read Larry Adler saying that he would blow out the reed on his harmonicas after just one full evening's performance and had to throw them away. The piper (I forget his name - apologies to him) said he had had this reed for two years. 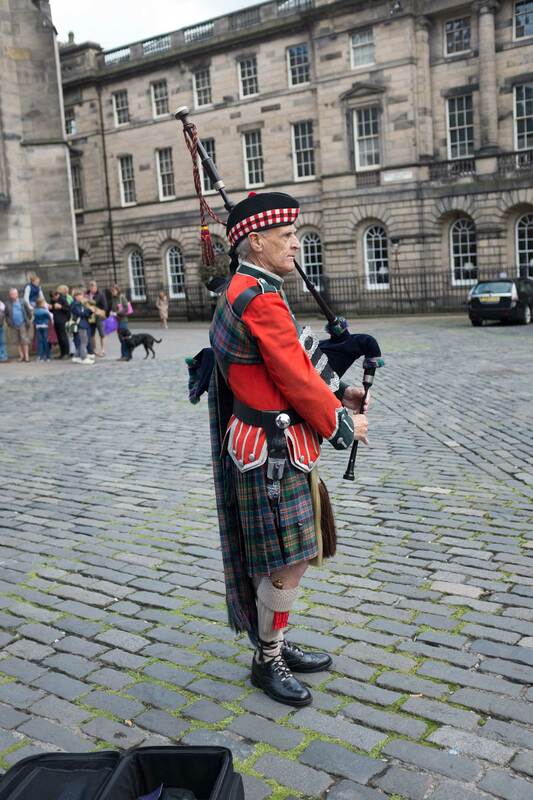 Having never seen a piper in Edinburgh wearing a red jacket, he explained that it was a military jacket and had cost him £500.00 and that he used to collect funds for a hospice and the jacket brought in the crowds - that and his playing. He had terrific staying power when he played, with notes and sequences that just went on and on. 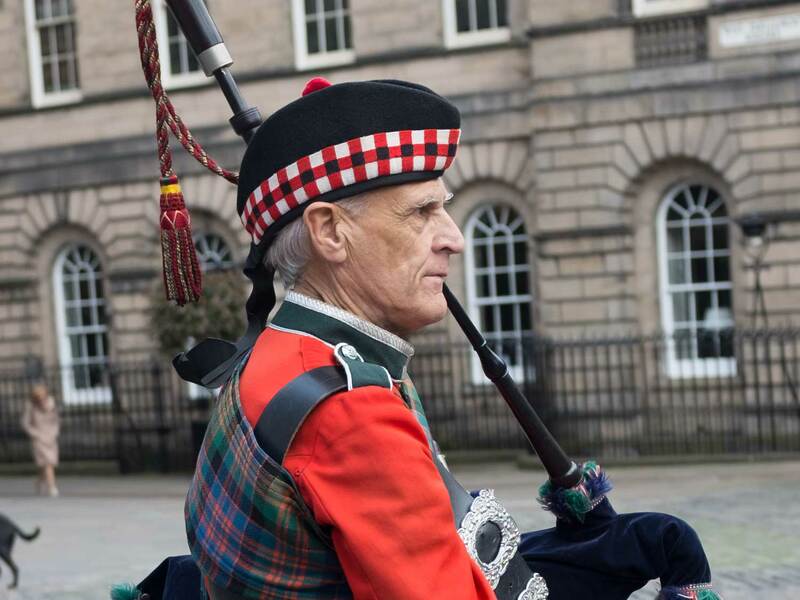 He said he had been piping for 45 years and was thankful his lungs had held out. The answer is always yes, no, and maybe. The blogging system is Silvrback - 14-day free trial and then $30/year. It's not exactly front-end blogging but it is near it and it is very intuitive to use. You have full ownership of your data. Your blog has no advertisements. You own your data and can export it at any time. Embrace the zen-like, Silvrback writing experience. I cannot think why I am attracted to using it. I don't need another blogging platform. I have Pixels ate.. and I have a self-hosted site at NoMorePencils - so what is there beyond the allure of a well-polished product that makes me want to pay $29.99/year for the privilege? It's a mystery.